You will probably go to a search engine like Google and start searching for terms like “ whats the best Ecommerce website builder ”or “ how to create a store website ” and click on the results. There is a large selection of websites that have some good and bad tutorials and advice on what the best Ecommerce website builder is. This can be confusing to deal with, especially if this is the first time you are building an online store. If you are planning to build your own online store, and on the lookout for some ideas that would help you succeed, read on. This article will try to do just that. However, before you proceed, and try any Ecommerce website builders it is a good idea to have a little think about what type of site builder you want to use to create an online store. When you start, you won’t have any idea how to create a website, much less running your own site and adding your stuff to sell. Everything seems so confusing. Sure, hosted and subscription-based shopping carts are very user-friendly but when it comes to convenience, nothing beats a user friendly website builder like www.easysite.com. Such software basically gives you complete peace of mind. It takes care of all the technical aspects so that you can concentrate on selling. You can build and start running your online store quickly, in only a few simple steps. It creates a simple, non-technical user-interface, so you don’t have to be a technically-sound person to understand your own Ecommerce website, you have piece of mind. Software like Easysite that lets you build your own online store without any hassle or technical hindrances, really simplifies things, inserting your content, images and text is really easy. Uploading your products and connecting your store to a payment processor so as to help you start the sales process. 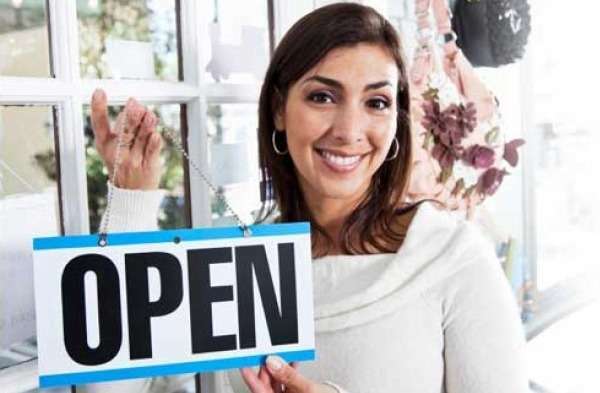 You can expect sales very shortly after opening your business. When you create a website with Easysite you get the Ecommerce software included in your package. This means that if you later decide to sell stuff from your site you can. No upgrade, no extra to pay, you already have the Ecommerce software built in to your site builder and can add a store page to your site anytime you want and sell your items online, complete with dynamic web pages. Still not convinced? See what our customers had to say on how easy it is to create a website. Get the best tools to design a website. The Ecommerce website builder Easysite.com offers has the best tools in the market for its users so that they can design a website with great visual appeal as well as amazing functionality. No need to learn CSS, HTML or FTP. Easysite brings the whole world to your doorstep by helping you create an Ecommerce site that not only looks great but also works incredibly smoothly and is very easy to use. From choosing a design, adding products and payment buttons you will be amazed at how easy and fast your store can be built. All you need is internet a computer and Easysite. Customers, who buy products online, look for these four things. Most customers research an online store before making a purchase. The biggest benefit of Easysite is that it’s unbelievably user-friendly. 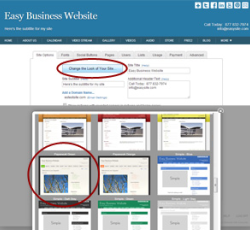 There is barely any other online Ecommerce website builder that can beat the user-friendliness of Easysite.com. Anyone can make a fully functional online store using their software. Easysite makes it very easy for you to manage your store. You can upload your products very quickly, remove the products that have been sold and add new products – all with only a few clicks. There’s more: you can provide your customers with several secure payment options and shipping options. This is the age of mobile devices. It’s imperative for Ecommerce websites to have a responsive website design. No need to worry your Ecommerce website will be perfect on any device its viewed on, your site will look good on Smartphones and tablets and shoppers will be able to purchase goods on any device they use. Building a website using Easysite.com means you will be able to easily integrate secure payment options in your Ecommerce site, be it payment on account, payment through credit cards and of course, PayPal. This means that you will be giving your customers the freedom to choose their preferred payment method. There are a number of reasons why Ecommerce website builder software is required for new entrepreneurs who want to open online stores. In this age of cutthroat competition, countless websites are trying to draw more traffic and make more sales. The best Ecommerce website builder is one which thoroughly and consistently performs. That’s exactly what Easysite does. So naturally, it is the best Ecommerce website builder out there and you can try it free.